Kiss Dust Pictures is proud to participate in a Reel Causes screening of Two Indians Talking on December 5, 2012 at the VIFF Vancity Theatre in Vancouver BC. Reel Causes in a Vancouver-based non-profit that screens independent films once a month at the Vancity Theatre, and donates all the proceeds to local non-profits. This screening is a fundraiser for the Urban Native Youth Association. UNYA is Metro Vancouver’s only Native youth program-providing organization, working to empower Native youth through 21 programs which include education & training, personal support, live-in programs, and sports & recreation. 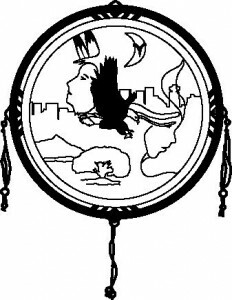 UNYA’s main goal is to provide opportunities that can help Native youth to reach their full potential and personal goals. Work also includes community development, training, research, educational materials, and advocacy. The director will be in attendance on Dec 5th and DVDs will be for sale with proceeds to be shared with UNYA. We look forward to a great screening – see you there!